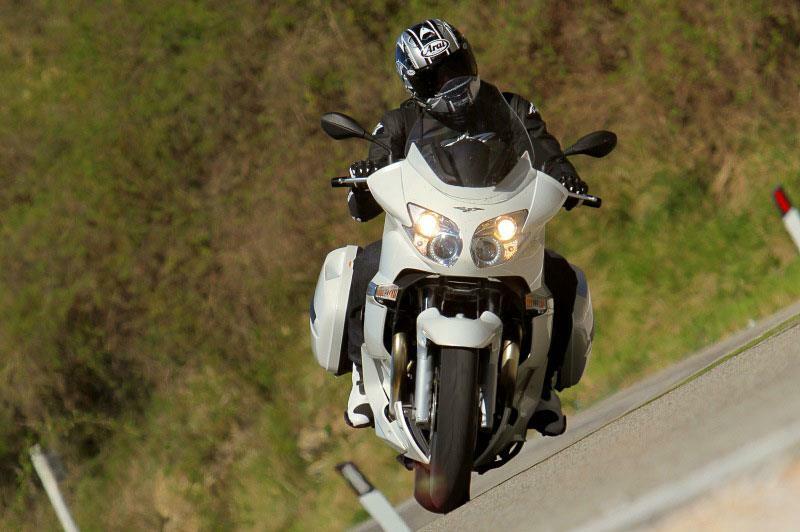 ﻿ Moto Guzzi Norge GT 8V - "a hugely capable mile-munching tourer"
Moto Guzzi seems to have all the bases covered with its new Norge GT 8V tourer. It's smoother and friendlier than ever, and a stiffer suspension set-up has stopped the old bike's tendency to get a weave-on around fast sweepers. 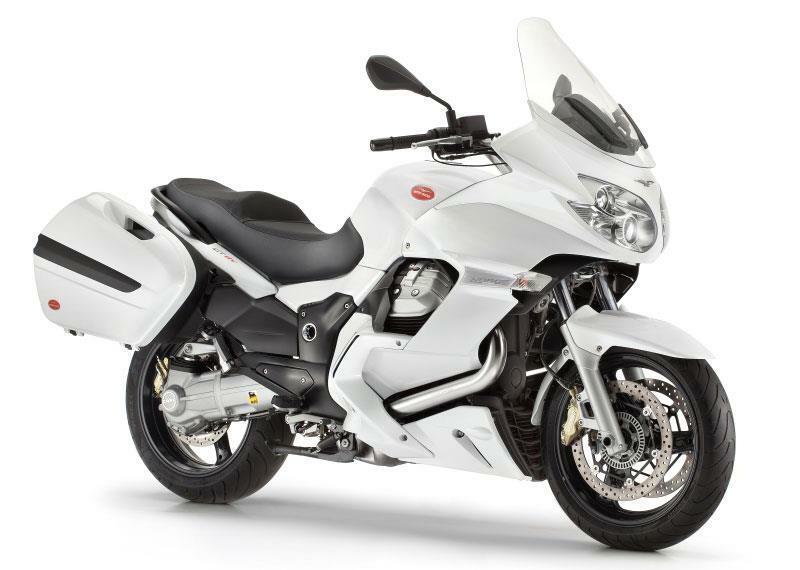 It's packed with goodies like heated grips, sat nav, an electrically-operated screen and panniers as standard, but best of all is the price. 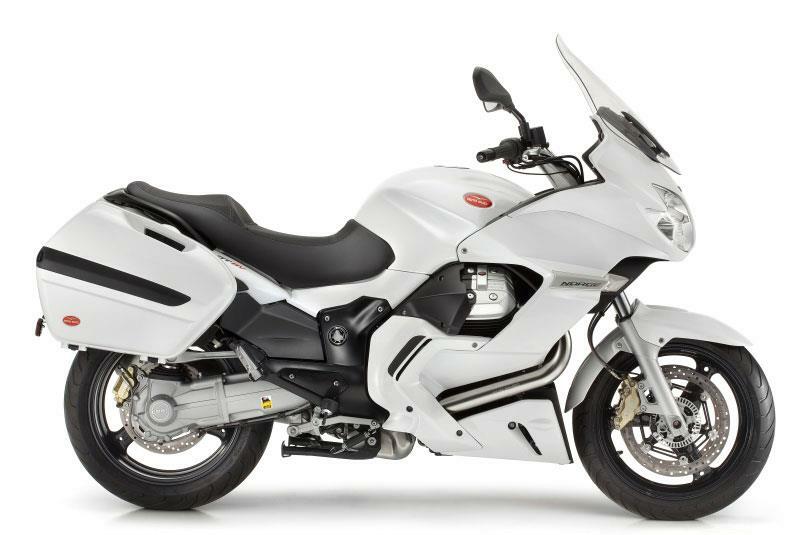 Costing £11,549 it comfortably undercuts its closest rival: the BMW R1200RT, which is £12,550 before you've added any optional extras. There's no getting away from the fact that the Norge is a heavy machine. 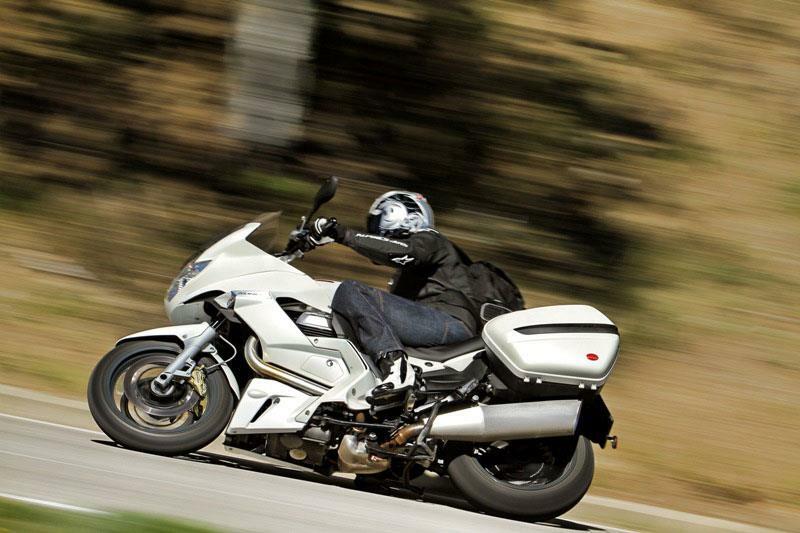 Guzzi claims a lumpy 257kg dry weight, which is 28kg more than the 6bhp more powerful BMW R1200RT, so don't expect the Beemer's lithe handling, sparkling acceleration or superb stopping ability. Instead, the Norge is a more relaxed take on the tourer, for those who want to take their time to the next destination and revel in the sights, sounds and smells of the world passing by. Find out more about the Moto Guzzi Norge in this week's MCN - out now.